Most of the Trump children have become well-known to the public over the years, but Barron remains a family outlier. 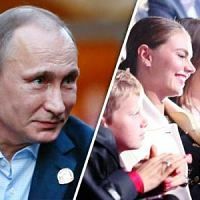 The 11-year old son of the President first captivated the eyes of the world late on Election Night when he stood behind his father on the stage while victory was accepted. Barron, of course, looked more sleepy than jubilant on stage, which inadvertently won over the cold hearts of an America that was mostly happy the election cycle was finally over. Who is this young Simba-like figure? It’s time we get familiar with America’s new boy-prince, Barron Trump. One thing about the incoming First Family to take note of is that it has a little bit more sprawl than the last one, owing to Donald Trump’s multiple children by three wives. 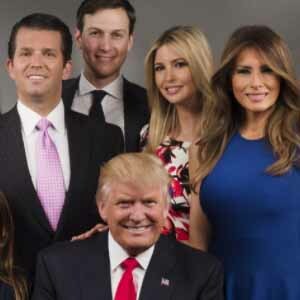 Barron Trump, the youngest of the clan, is but one branch of a family tree that includes Ivanka, Eric, and Donald Jr., born to Donald’s first wife, Ivana Trump; and daughter Tiffany, born to Donald’s second wife, Marla Maples. 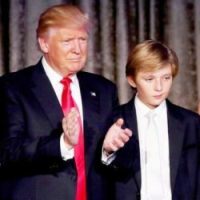 As for Barron, he’s the only child of Donald and Melania Knauss Trump, and was born on March 20, 2006. Until recently, he lived with his mom in their Trump Tower penthouse on Fifth Avenue in New York City, while dad moved into the White House after assuming his new role as POTUS. Donald and Melania were married about a year prior to Barron’s birth, in January 2005.